A novel of awakening and atonement written by Tony Peake, this exquisitely realised story revisits a seminal boyhood moment as it plays out — with unexpected and sinister consequences — against the backdrop of political upheaval in South Africa. For one long, intense week in October 1962, the Cuban Missile Crisis brought with it an East-West stand-off and the possibility of nuclear holocaust. On the other side of the globe, in Pretoria, a group of schoolboys scan the horizon for signs that the world is about to end. There is political tension here too, and the power struggles and cruelties of the boys mirror the corruption of a deeply divided country. Paul Harvey – sensitive, isolated, and desperate to fit in at school despite his English heritage – will do whatever is needed to please the class ringleader, Andre du Toit. Now in his sixties and living abroad, Paul is drawn back to South Africa to confront the unexpected and chilling consequences of this seminal boyhood moment – and the part he unwittingly played in the drama that unfolded. 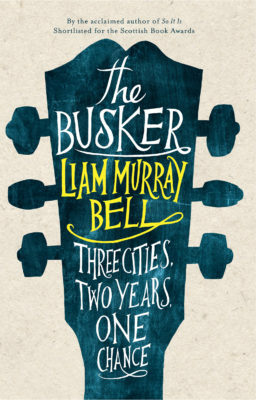 It’s an engrossing, poignant coming-of-age novel whose revelation of the purpose of Paul’s journey brought me to tears. North Facing is an interesting character study that takes in large events and issues... but explores them from a small, personal viewpoint. The key turning points of the plot emerge only gradually, which is a very effective touch... Overall, this quiet-seeming novel is well worth a read. Beautifully plotted, the reader is instantly connected to Paul as a character... Thoroughly compelling and unexpectedly moving, North Facing is a fascinating portrait of both a childhood and a country. 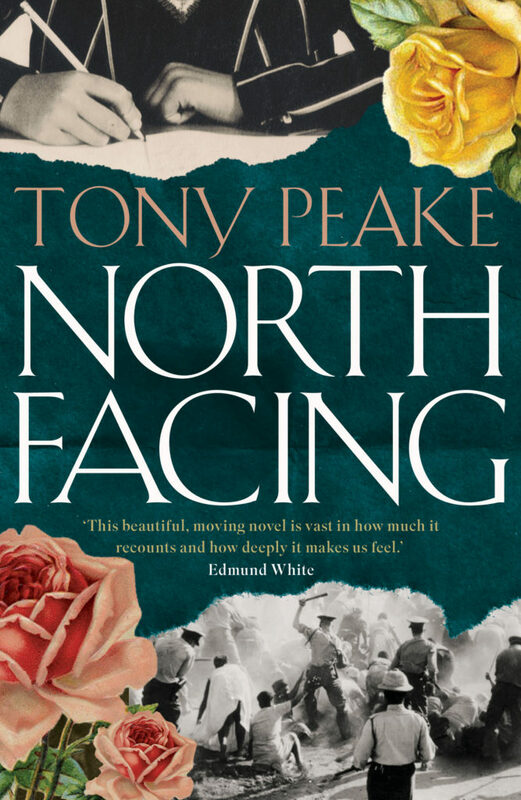 Tony Peake’s compelling and haunting new novel makes the political personal... It is elegiac in its depiction of things half-understood, telling in its detail – an African comb becomes totemic in memory – and a gracefully achieved work of art made more powerful by its quiet anger and understatement. The theme of adults manipulating children isn’t an unusual one in fiction – Atonement and The Go-Between are obvious examples – but the setting of Tony Peake’s new novel stood out for me. In it a man in his sixties has returned to South Africa where he was at boarding school, remembering the events which came to a climax as the world held its breath in the week of the Cuban Missile Crisis when he was twelve years old. Paul is working his way towards the small town of Mokimolle. It’s the first time he’s been back to South Africa since he was a schoolboy, teased mercilessly by Afrikaans boys for his English parentage. Paul was a sensitive child, desperate to fit in and determined to join Andre du Toit’s club with its despotic rules. Unexpectedly invited into the inner sanctum, he was tasked with stealing anything that appeared unusual from a teacher’s study. Quickly promoted after his delivery of a comb, Paul found himself asked to write a report on Spier, the teacher determined to make his pupils question their world rather than soaking up received opinion. Paul diligently noted what seemed to be a friendship between Spier and Pheko, the school’s groundsman, horrified to see his report in the hands of Andre’s father the following Sunday. Played out against a backdrop of a febrile, post-Sharpeville South Africa, North Facing explores themes of awakening, culpability and atonement. Peake vividly summons up 1960s’ white South Africa in the grips of fervent anti-communism, determined to go to any lengths to combat threats to its power. The present-day sections of his novel are narrated in the first person, distancing Paul from his younger self whose third-person narrative he occasionally interrupts. It’s an effective device, drawing you into the 1962 story line while signalling its far-reaching consequences. The depiction of colonial South Africa is neatly done: Paul’s determinedly English mother has brought her country with her complete with chintz-bedecked bungalow and Sunday roasts; the mutual fondness between the children and their parents’ servants contrasts with the racism absorbed by unquestioning young minds. Peake lightly sketches Paul’s sexual awakening – a sudden, puzzling but fateful response – and his realisation of what he has been instrumental in bringing about is quietly delivered. 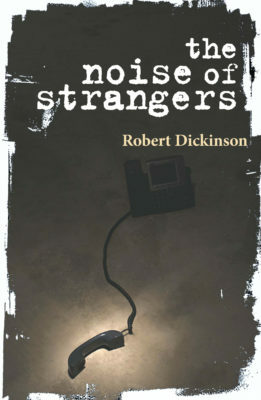 It’s an engrossing, poignant coming-of-age novel whose revelation of the purpose of Paul’s journey brought me to tears. In 1962, Paul Harvey is at boarding school in Pretoria, South Africa. His English parentage marks him as an outsider, but he’s keen to join the most exclusive club in school: the friendship circle of one Andre du Toit. At first, du Toit appears nothing but a bully, but then he starts to be more friendly towards Paul – and soon Paul finds himself part of du Toit’s group. Du Toit is known to set the members of his club tasks in order for them to keep their place. Paul’s secret mission is to keep an eye out for anything unusual at the meetings of Mr Spier’s after-school General Knowledge club, write a report for du Toit, and steal whatever he notices. All is not as it seems, however, and the ramifications of Paul’s task can still be felt fifty years later, when he returns to South Africa to face the past. North Facing is an interesting character study that takes in large events and issues (such as apartheid and the Cuban Missile Crisis) but explores them from a small, personal viewpoint. The key turning points of the plot emerge only gradually, which is a very effective touch. The present-day strand feels a little underplayed, as it turns out to be more of a frame than an equal plot thread. But overall, this quiet-seeming novel is well worth a read. 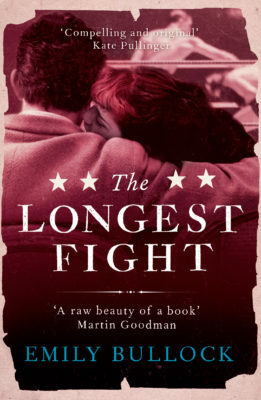 At school in Pretoria in 1962, Paul Harvey struggles to fit in - desperate to join the popular group no matter what it may take. His focus on surviving the perils of school so intense, that he fails to see the turbulence in both South Africa and the larger world - with the arrest of Nelson Mandela and the Cuban Missile Crisis affecting the actions of the adults around him. A new and charismatic teacher decides to educate the boys in the unstable situation in the world outside - and a growing awareness of both that and his sexuality pushes Paul Harvey into decisions that he later comes to regret - and their weight pushes him to return to South Africa in the present day - a man in his sixties keen to make sense of a troubled and darkly compelling past. Tony Peake, like Paul Harvey, was born in South Africa. 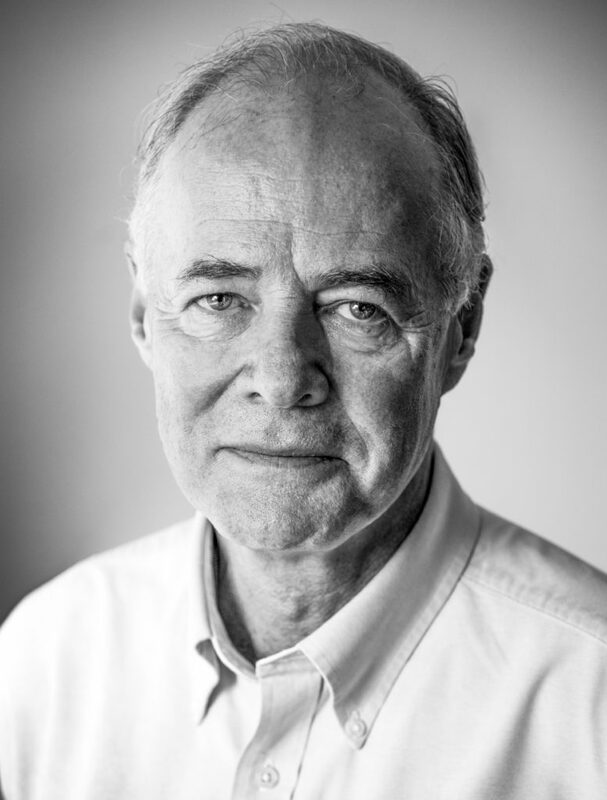 Since moving to London, he's published several novels and a biography of Derek Jarman, as well as a number of short stories. His experiences - both in terms of sexuality and of growing up in South Africa lend the events of North Facing an immediate intimacy - and a remarkably strong sense of place - the South African heat blending perfectly with the fire of teenage angst to create a read that's both evocative and, especially in conclusion, exceptionally moving. Beautifully plotted, the reader is instantly connected to Paul as a character - and his journey is, despite the heightened drama that is perhaps necesary in order to create a compelling plot, relatable to anyone who was ever a teen. Writing as a man looking back on his childhood allows Peake to feed in glimpses of the outside world to the sheltered private school setting, and it works remarkably well - an innocence of childhood shattered in a way that feels realistic in the power of the emotion that Peake conveys - always with intelligent perception. Thoroughly compelling and unexpectedly moving, North Facing is a fascinating portrait of both a childhood and a country. Tony Peake’s compelling and haunting new novel makes the political personal. Here, the other country which is the past is Apartheid South Africa, recalled with aching hindsight by an Englishman who spent his childhood there. History is happening outside the privileged confines of a white boys’ boarding school – the Cuban Missile Crisis, the rise of the ANC – within, the corruption of the wider society is played out in microcosm in the power struggles and cruelties of damaged little rich boys, until, with chilling inevitability, they lead to an almost inadvertent betrayal which has terrible consequences and resonances. North Facing is elegiac in its depiction of things half-understood, telling in its detail – an African comb becomes totemic in memory – and is a gracefully achieved work of art made more powerful by its quiet anger and understatement.